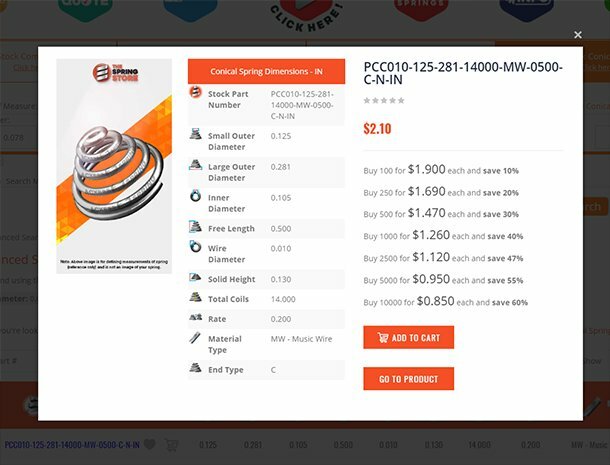 An assortment of several different measurements of compression springs ranging from micro-springs, small springs,medium springs,large springs and heavy duty springs. 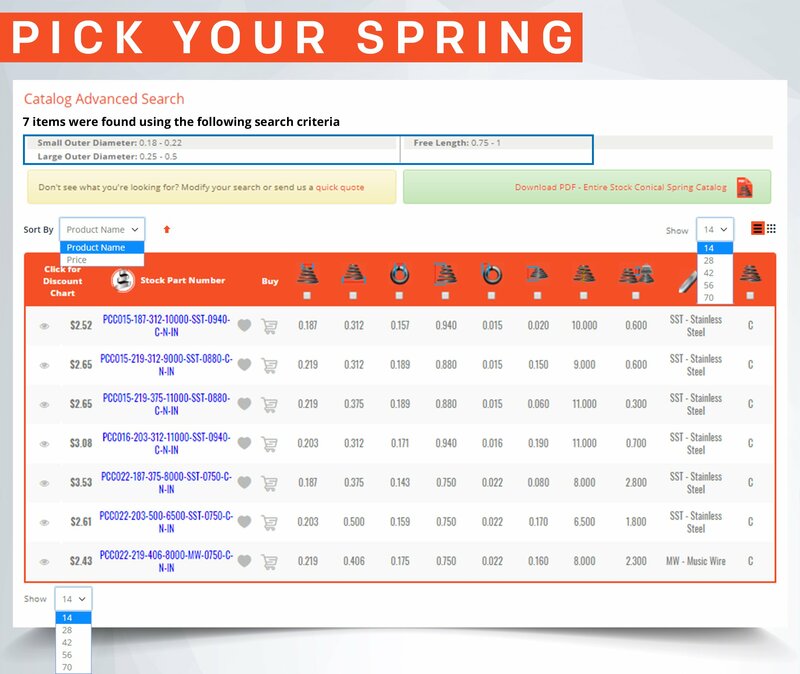 Are you working on a project or need a replacement spring? 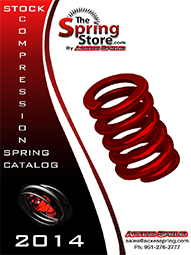 Find your compression springs at The Spring Store where we offer a broad range of compression spring sizes in various material types such as music wire (spring steel), hard drawn, stainless steel, oil tempered, beryllium copper, and phosphor bronze. 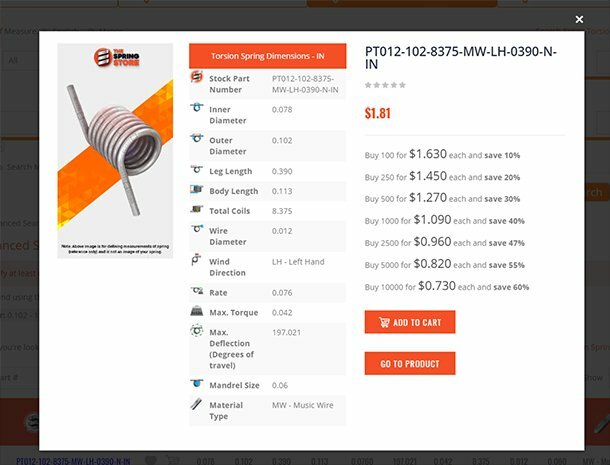 Some of these springs may be plated in zinc, gold irridite or black oxide. 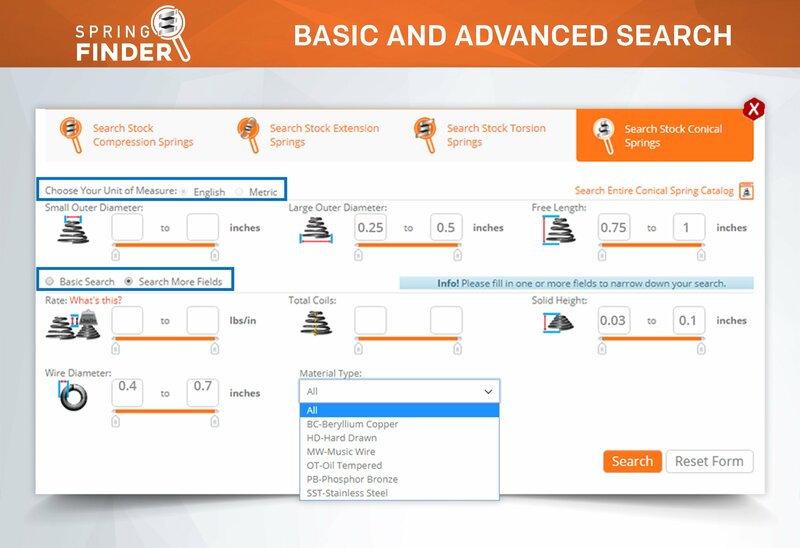 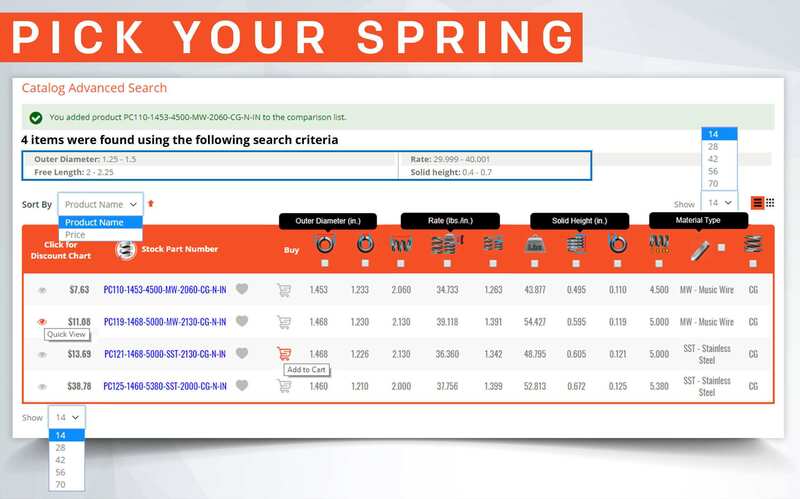 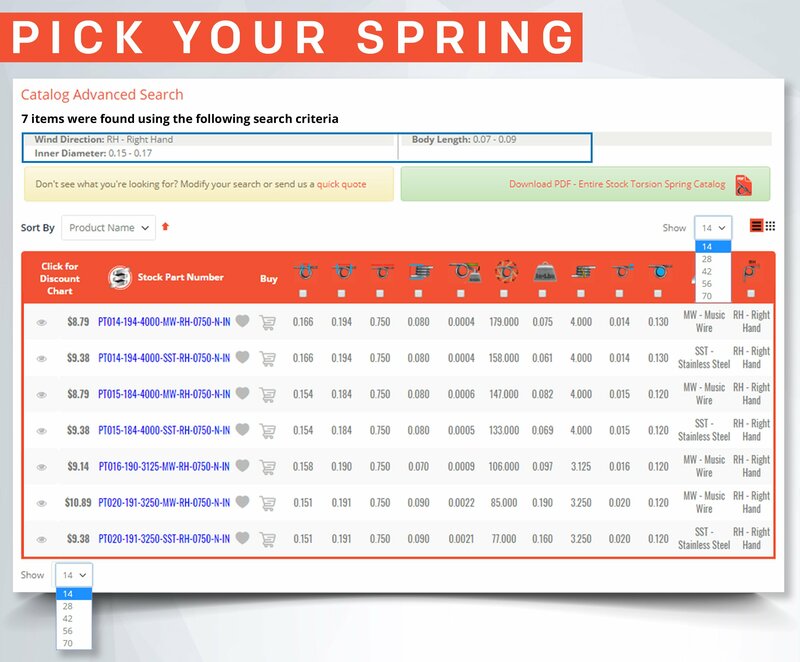 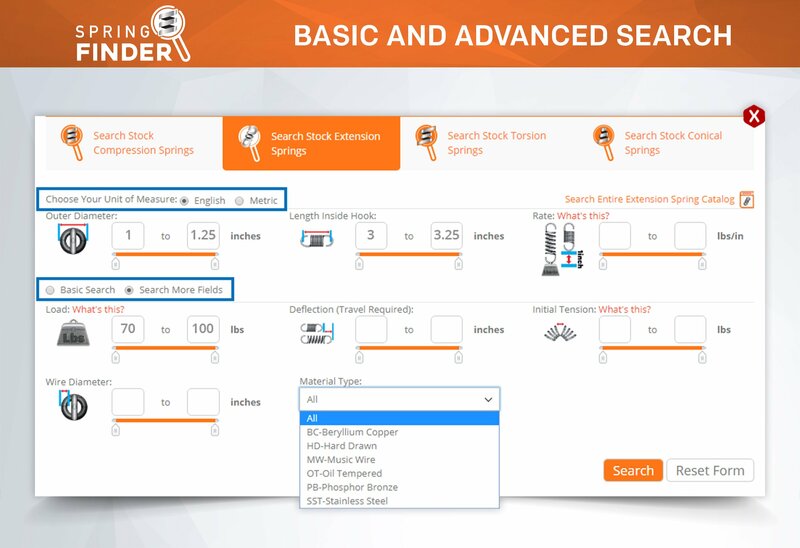 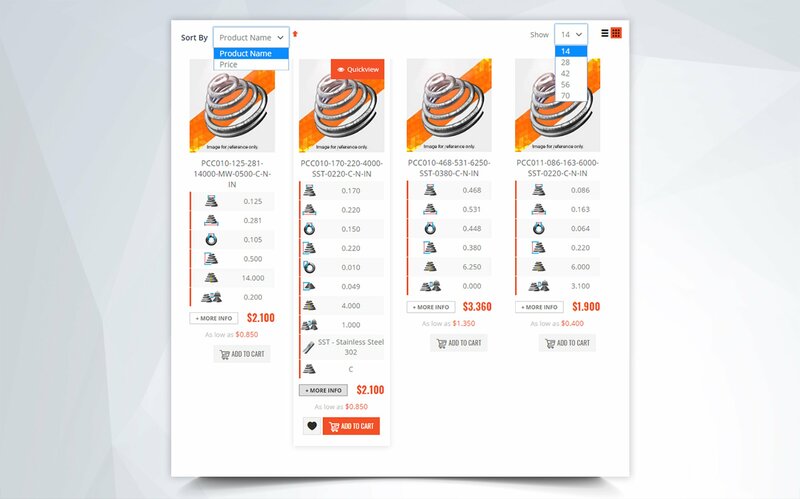 Search for your compression spring by using our easy-to-use Spring Finder. 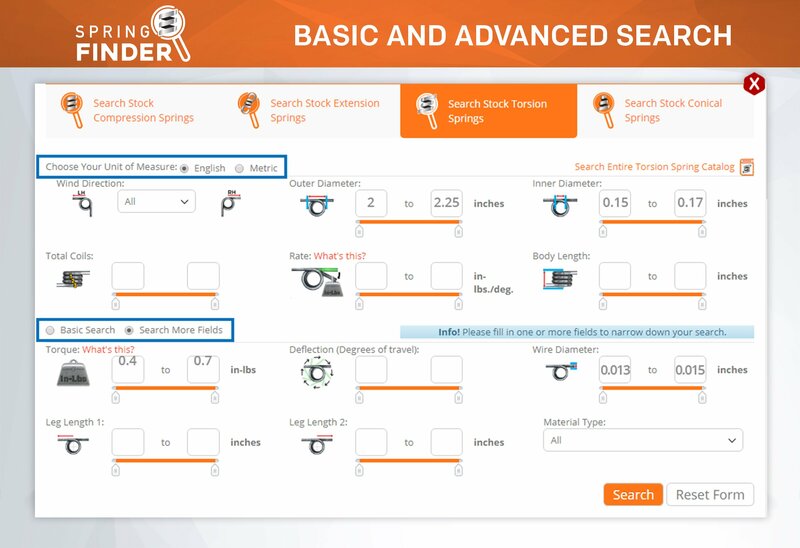 Enter your compression spring dimensions into the specified input boxes provided and hit the search button. 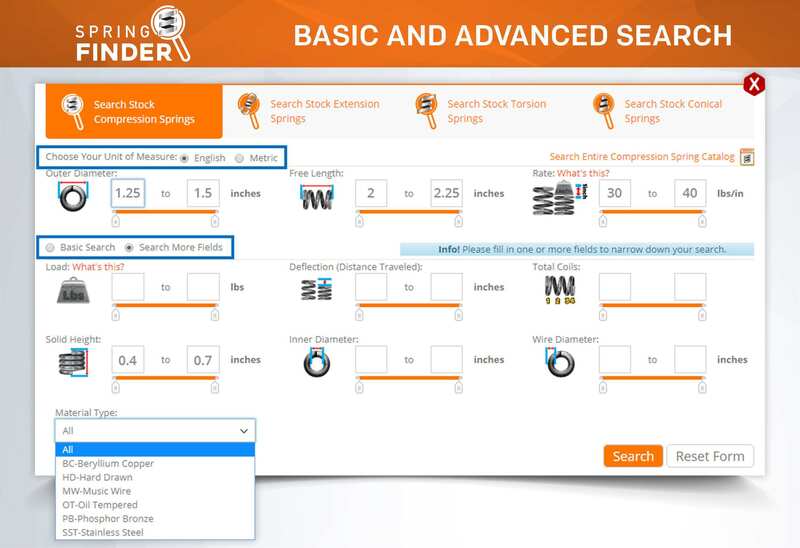 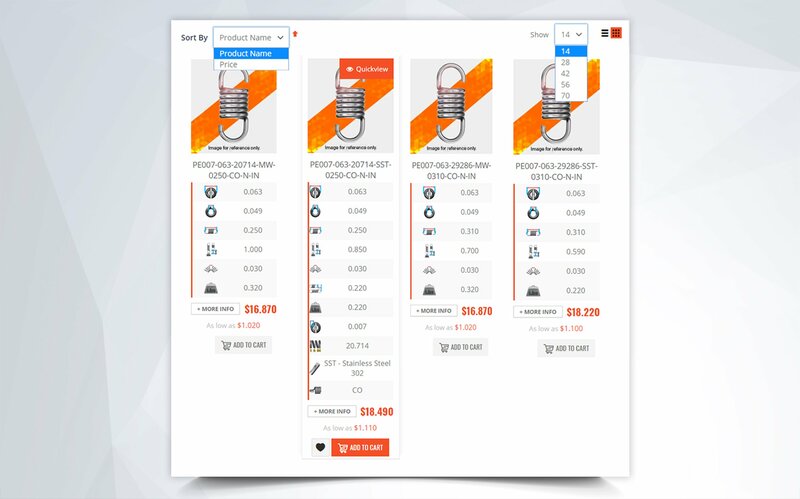 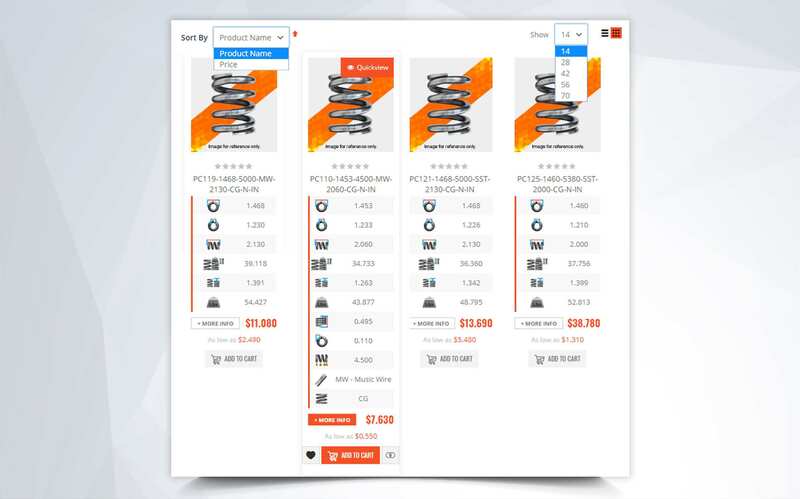 You will be directed to a page which includes all the compression spring part numbers which have a similar compression spring measurements to the compression spring sizes you specified. 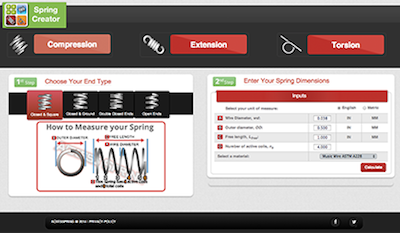 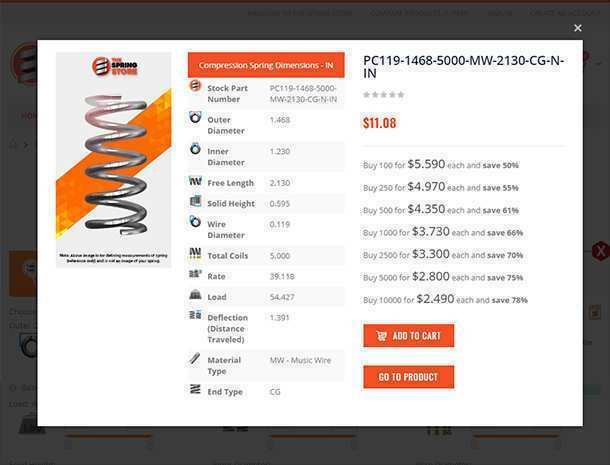 Calculate your compression spring’s size by using our new spring calculator, Spring Creator. 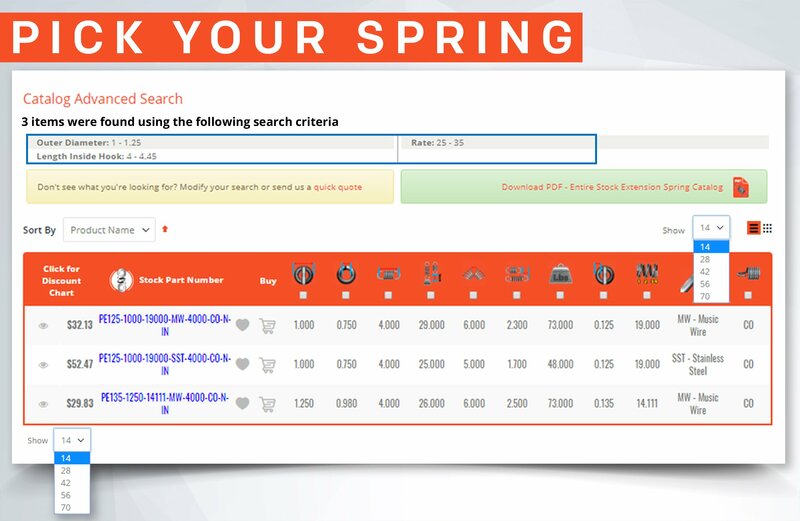 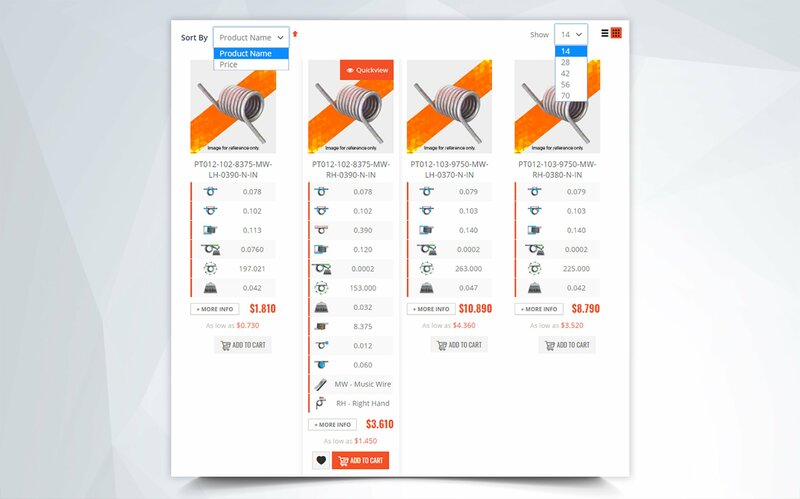 Spring Creator will allow you to calculate your compression spring’s size as well as other critical dimensions to your project or mechanism like rate, maximum compression, and working loads. 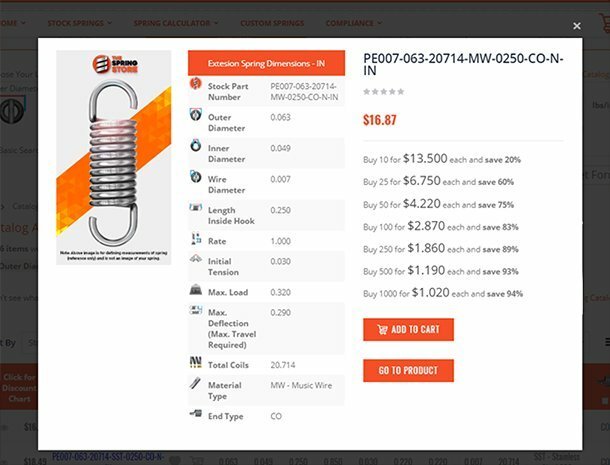 Also, get a PDF blueprint of your compression spring sizes along with a full springs analysis of your compression spring design.